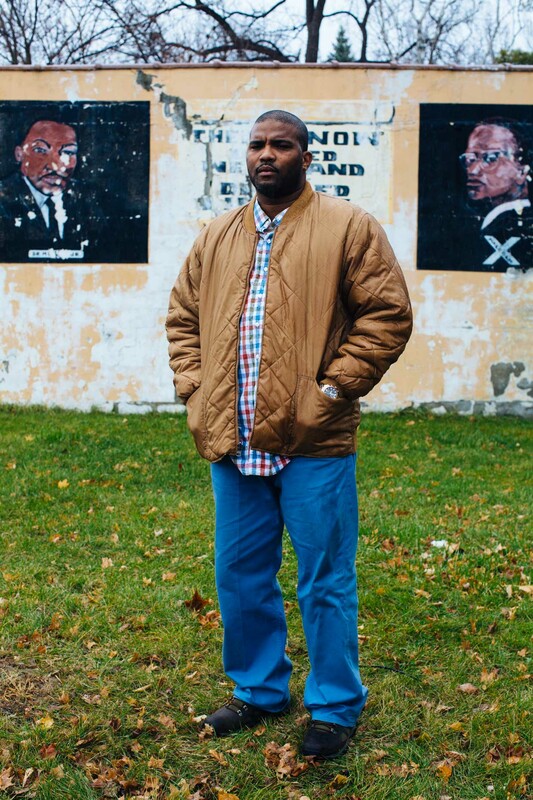 Phil Hodge, 37, stands in front of a mural portraying Martin Luther King, Jr., and Malcolm X in Flint, Michigan, on Wednesday, November 23, 2016. Phil's nephew collapsed and died from a heart attack. He was 9-years-old. Phil's own son is 9. He says he wants to move him out of Flint "so that he can have hope."